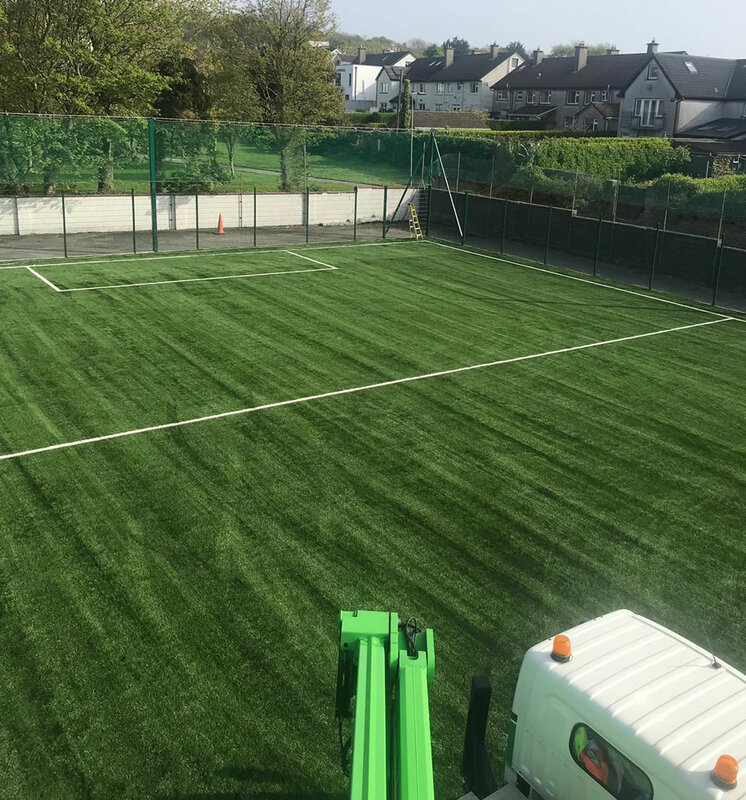 Our core business is the installation of high performing synthetic sports surfaces, from full size pitches to training areas for all sporting codes. 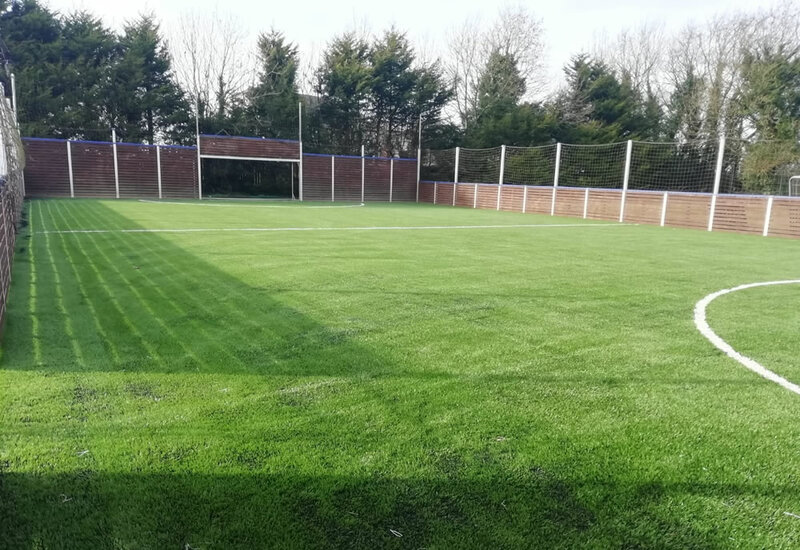 By working closely with our clients, PST Sport can develop a complete and tailored package, from design and planning, pitch construction and testing, right through to pitch handover and maintenance. Our services include initial consultation and design, drainage, base works and civil engineering. If you have a project you would like to discuss, get in touch to see how we can help. We would be happy to advise in any way we can. On this page you can view current installations for 2019 as well as completed projects. You can also view jobs from previous years by clicking the link for each year. 2,500 sq/m artificial grass pitch and shock pad, including all groundworks and kerbing. 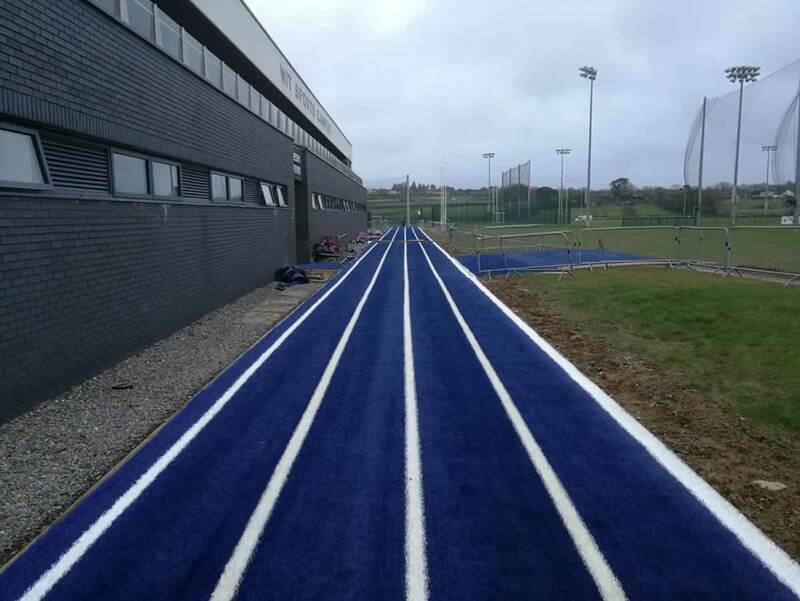 2,197 sq/m running track with 24mm multisport 2G carpet; includes groundworks & drainage, kerbing and LED lighting. 1,200 sq/m training pitch including all groundworks, ball wall, fencing, netting, floodlighting and carpet. 1,410 sq/m MUGA including drainage and sub base works. 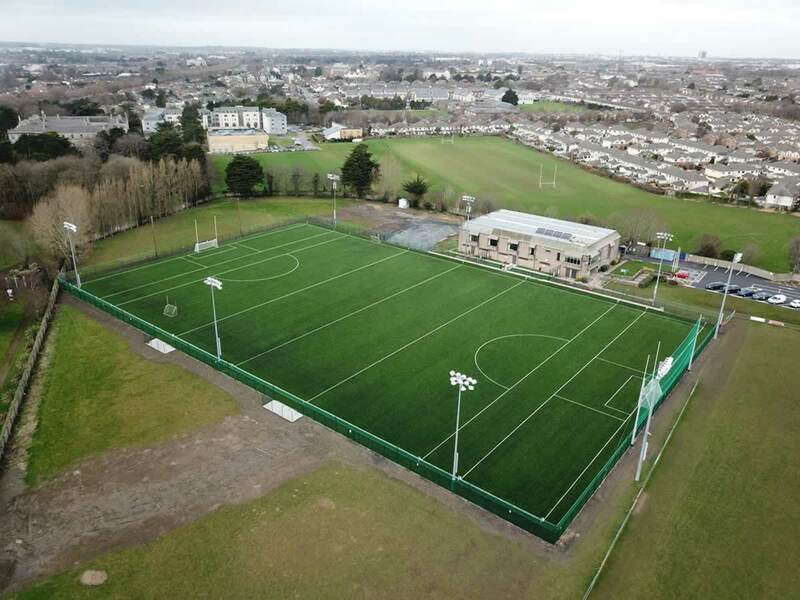 Construct 890 sq/m 3G pitch with all associated works, hurling wall, install lighting & fencing. 13,912 sq/m natural grass field including full groundworks. 940 sq/m artificial grass running track & kerbing. 600 sq/m pitch with 60mm 3G synthetic grass, fencing, netting & perimeter kerbing. 2,010 sq/m 3G pitch. Works include removal of the existing carpet, regrading the blinding, 60mm artificial grass carpet and fencing & netting. 5,000 sq/m artificial grass pitch resurface with shock pad. Additional works to include kerbing, fencing and dugouts. 6,800 sq/m 3G pitch including full groundworks, fencing and netting. 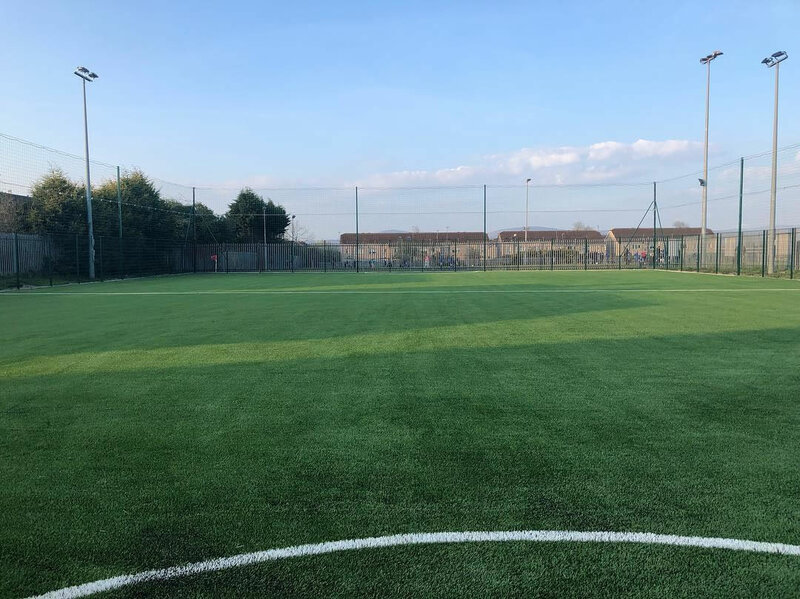 4,500 sq/m artificial grass pitch with shock pad including full groundworks and drainage, perimeter kerbing, fencing and netting. Additional works include 2 no. artificial grass goalmouths. 975 sq/m artificial grass pitch including kerbing, fencing & netting. 2,363 sq/m artificial turf pitch with Superb 55 carpet. Additional works to include perimeter kerbing, fencing, netting & sports floodlights. 4,770 sq/m synthetic turf pitch with 60mm artificial grass carpet. Works to include fencing, kerbing and floodlights bases. The second part of the project is the construction of a 6,000 sq/m natural grass pitch. 1,500 sq/m pitch including groundworks, fencing, netting and carpet. 900 sq/m 3G pitch with shock pad, fencing, netting & kerbing. 2,800 sq/m 3G pitch with our 60mm artificial grass carpet and shock pad. Ancillary works included fencing, netting, lighting and amenity path. 1,020 sq/m multi-use games area with 60mm synthetic grass and shock pad. Included are groundworks and drainage, perimeter kerbing and ball stop netting. 2,928 sq/m 3G pitch with 60mm artificial grass carpet. 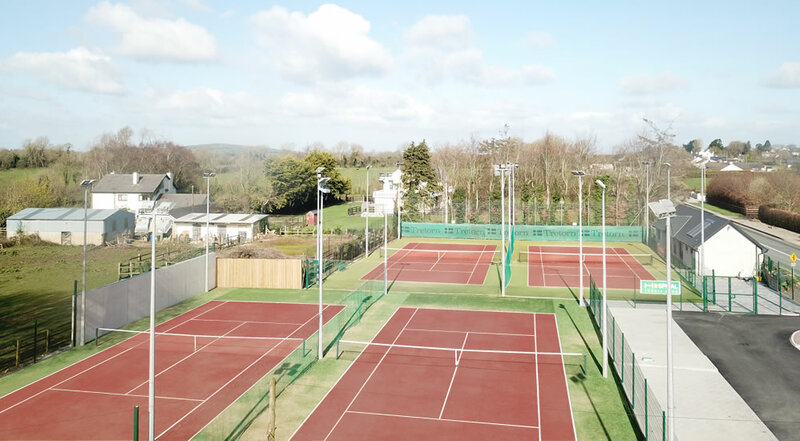 Project included all sub base works & drainage, perimeter fencing, netting and lighting. 1,750 sq/m pitch resurface. 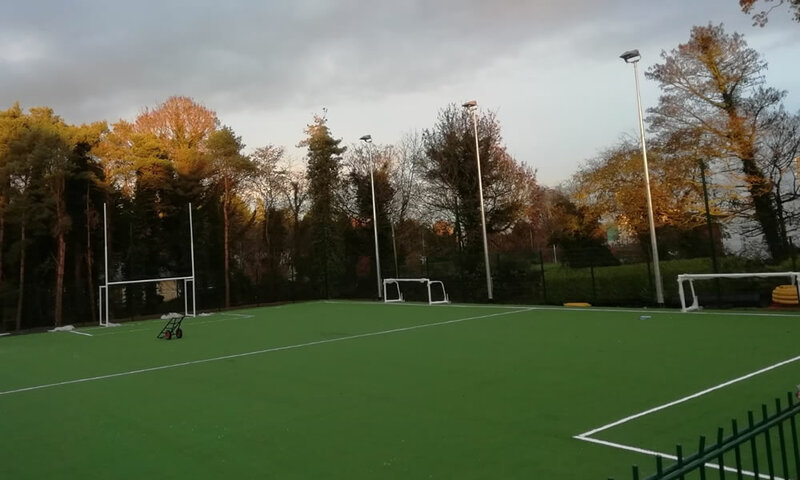 Works included removal of the existing carpet, regrading the existing surface, supply and installation of 60mm artificial grass carpet and shock pad, sports fencing and 4.1m ball stop netting. 374 sq/m artificial grass pitch with 4G carpet and shock pad. 2 no. 450 sq/m multi-use games area with 24mm carpet. 2,100 sq/m 3G pitch with 60mm artificial grass carpet. Project works included all sub base works and drainage, fencing and netting. 6,270 sq/m FIH approved hockey pitch with 18mm artificial grass carpet + shock pad. The project included removing the existing carpet & fencing. 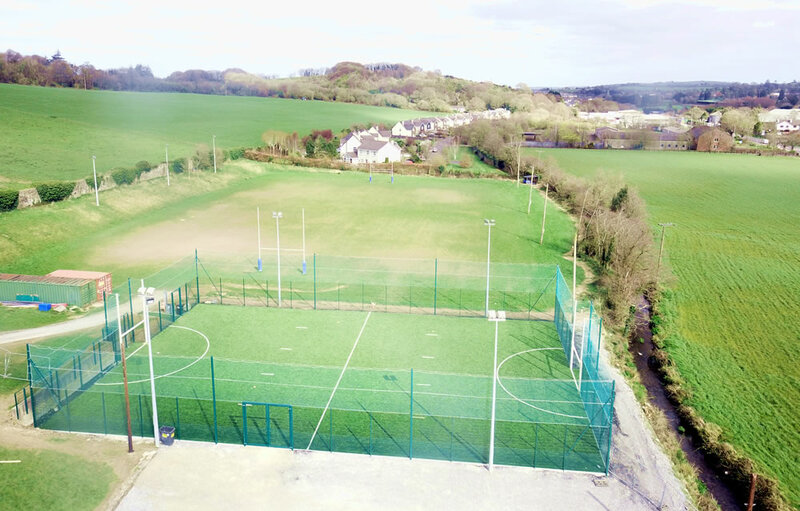 Full-size natural grass GAA field and front car park. 992 sq/m artificial grass tennis courts. Ancillary works included fencing, netting, kerbing, ball wall and access road. 860 sq/m artificial grass pitch including groundworks, drainage, electrical ducting, manholes and boundary fencing. 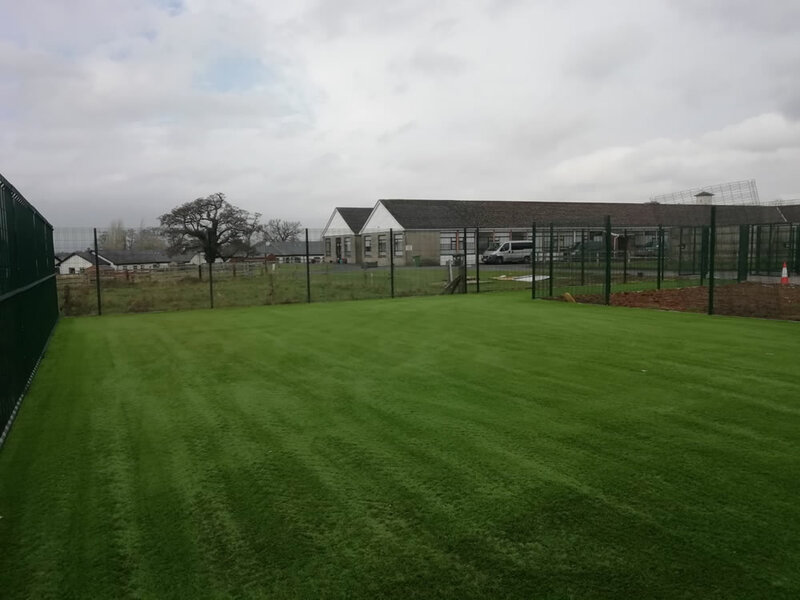 Pitch resurface with 600 sq/m artificial grass carpet and ancillary works for our client Leitrim County Council. Supply and installation of 271 sq/m of artificial grass and shock pad with stone base, including the removal and disposal of topsoil. 4m wide artificial grass athletic running track with our Superb 45 3G carpet. 11,696 sq/m 3G pitch with shock pad, including full groundworks. 925 sq/m 3G pitch with 60mm artificial grass carpet. Works included regrading the existing blinding, fencing, netting and perimeter kerbing. Construction of a 2,240 sq/m artificial grass pitch including full base works, fencing, netting and floodlights.